While popping the marriage question and getting a "Yes" answer seems like a stressful event for some couples, the marriage preparations will prove more difficult. For many, this is the start of a multitude of wedding day preparations. The planning behind this special day involves the coordination of a myriad of activities such as the catering, wedding ceremony, location booking, photographer, and wedding gown shopping. Since it is an important milestone in people's lives, the preparations must be perfect on wedding day and everything planned to the smallest detail. While this event will come and go, the memories will linger on long after the wedding day. One of the symbols of the love between two people on this special day is the wedding ring. Although the wedding rings a couple settles on is usually determined by the couple's budget, it is important to realize that a wedding ring will be the enduring symbol of a couple's love long after the champagne drinking, wedding speeches and wedding ceremony are over. The rings will be worn by a couple for the rest of their lives. The the decision to buy a certain set of rings, therefore, should not be taken lightly and a couple should get the best wedding rings they can afford from a trusted jeweler. As a symbol of everlasting love, what better way to represent it than with a Celtic wedding ring? Unlike traditional wedding rings, the Irish have a rich, romantic and enduring Celtic jewelry making tradition. 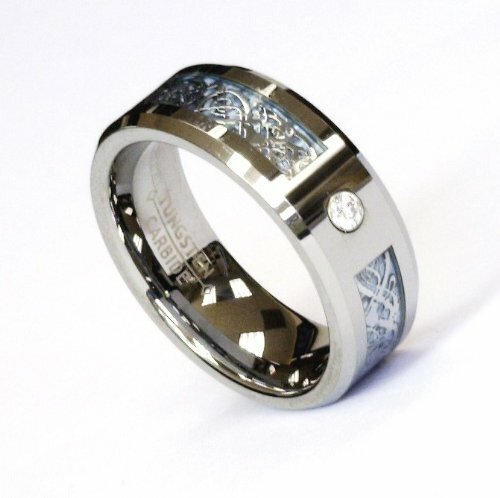 This has led to Celtic wedding bands growing to become an increasingly popular alternative to traditional wedding rings. 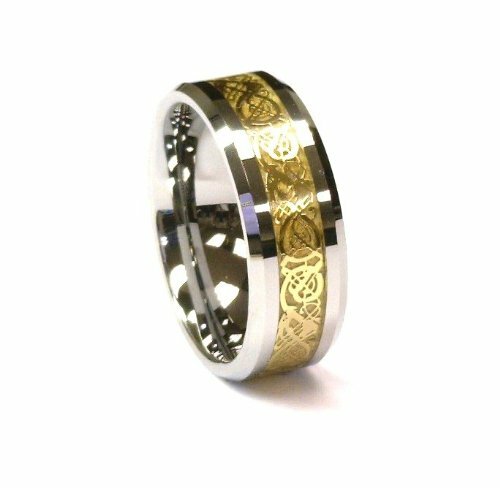 Celtic wedding rings are the perfect way to consummate your wedding vows and here is why: Celtic rings are steeped in a tradition of jewelry making dating back for centuries. 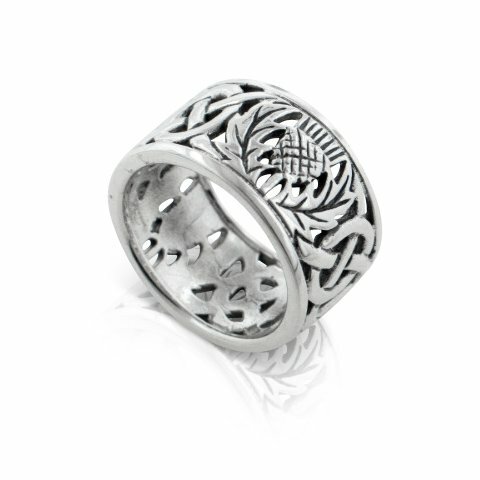 Celtic wedding band designs are derived from Irish manuscripts such as the Book of Kells. 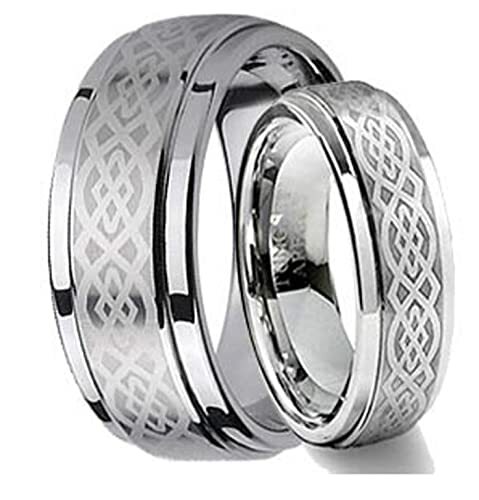 Their intricate Celtic designs or interwoven patterns throughout the ring's metalwork signify a couple's promise to begin a new life together with the one never-ending, continuous circle signifying eternal and endless love. The wearing of Celtic jewelry in the past was an external sign of a person's wealth and status. Many Celtic wedding rings were passed on from one generation to another becoming family treasures. 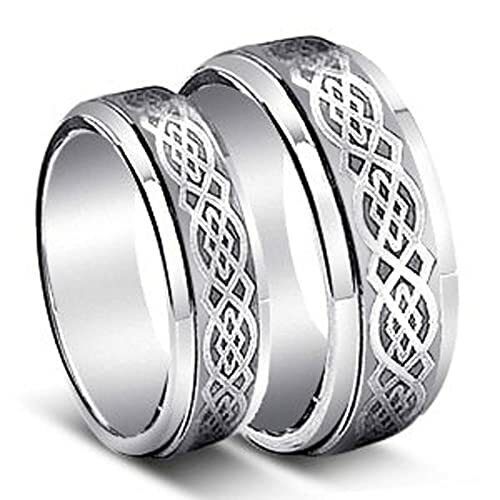 The popularity of these elegant wedding rings now allow couples from around the world to purchase these Celtic rings so there is no need to travel to Ireland to get an authentic Celtic wedding ring. 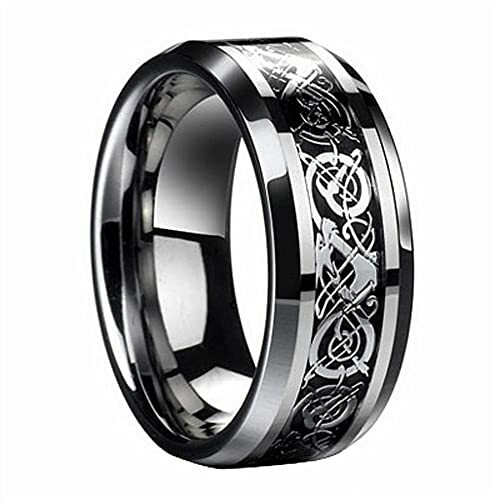 The Internet has made shopping for these Celtic rings easy with lots of specialty retail jewelry stores online. 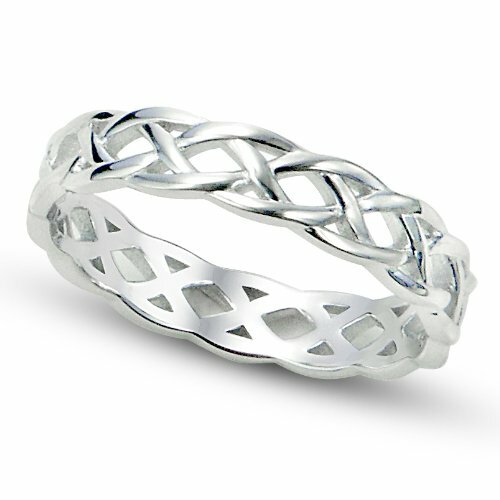 Celtic rings are handmade by Irish craftspeople and are shipped all around the world to meet the demand. You may opt to have your wedding ring custom designed which is indeed highly recommended to get the best fit and design. If you are planning on customizing rings, be sure to order them early so the jewelry designers have time to make them. A good online retailer will have a wide choice of the following ring characteristics: precious metal (gold or platinum), Celtic pattern, ring size, number of gemstones, size of gemstones, etc. The combinations are numerous and is completely within your control, making them timeless pieces of art that remind you and your loved one of your uncompromising love for each other.